SPONSORED: It’s time to “beef up” your celebrations! It’s a time to celebrate. And what better way to serve up a delicious treat than with succulent and oh-so-tasty Scotch Beef PGI? The countdown is on. You’ve shopped until you’ve almost dropped, and now it’s time to celebrate. But is your festive menu lacking that extra-special something? Perhaps it’s time to rethink your festive menu to include one of Scotland’s most prized ingredients – delicious Scotch Beef. Renowned around the world for its quality and taste, it’s easy to forget what an exceptional product we have right on our doorstep. The Scotch Beef PGI label – the stamp of quality – means you’ll be buying the best of Scottish produce, traceable from farm to fork and produced to the highest of standards. Scotch Beef PGI is renowned by top chefs across the land – and beyond – for its succulent flavour, tenderness and unmatched quality. Scotch Beef is remarkably versatile and a match for a myriad of flavours. 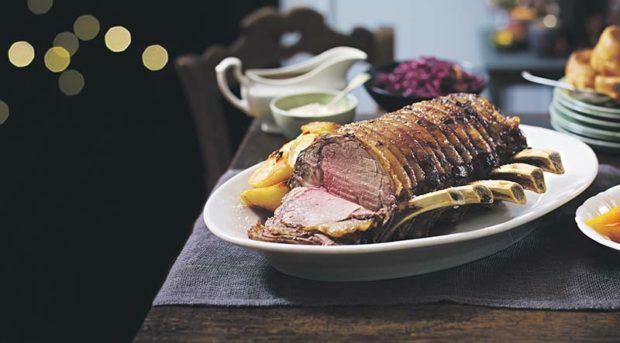 There’s not much to beat a delicious roast rib of Scotch Beef. Try it served with spiced red cabbage for a festive twist, along with crispy roast potatoes, and Yorkshire puddings. Find out how to make it here. For a special celebration meal, succulent Scotch Beef fillet steaks are prized by top chefs, who depend on its unsurpassed flavour and supreme quality. Want to impress your guests? Beef Wellington made with centre cut Scotch Beef fillet and served with Dauphinoise potatoes, roasted shallots and Madeira jus is a truly memorable celebration dish and isn’t as tricky to make as you might think. You’ll find the recipe here. You can even beef up your party, by treating your guests to a bite-size flavour of the best of Scottish produce. Mini Scotch Beef Yorkies are easy to make. 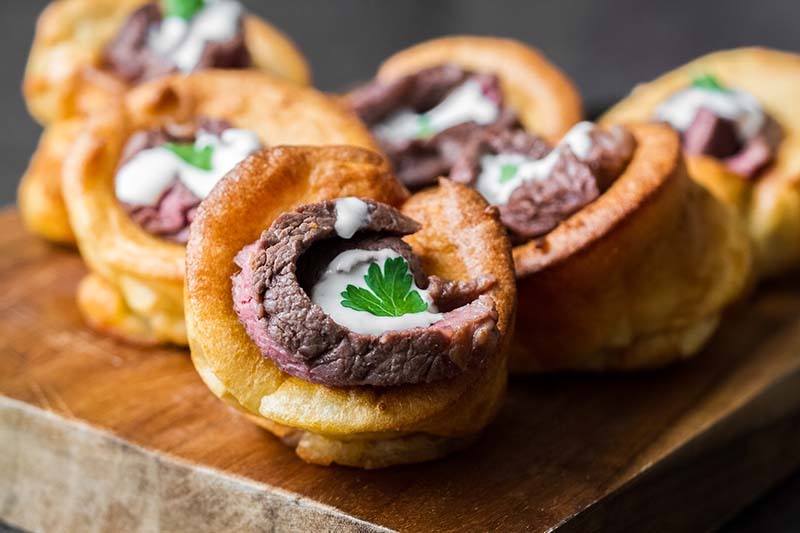 Just rustle up some finger food size Yorkshire puddings and stuff with thinly sliced sirloin steak laced with cool crème fraiche and warm horseradish. And when it’s time to get back to some good old family favourites, Scotch Beef is the foundation for a wealth of comforting dishes – whether it’s midweek lasagne, a winter warming plate of ‘granny’s’ mince ‘n’ tatties or a hearty beef and vegetable stew. 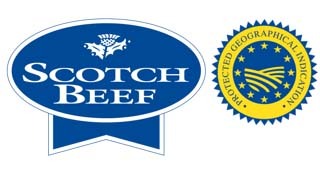 Scotch Beef PGI is available at most supermarkets and independent butchers throughout Scotland. 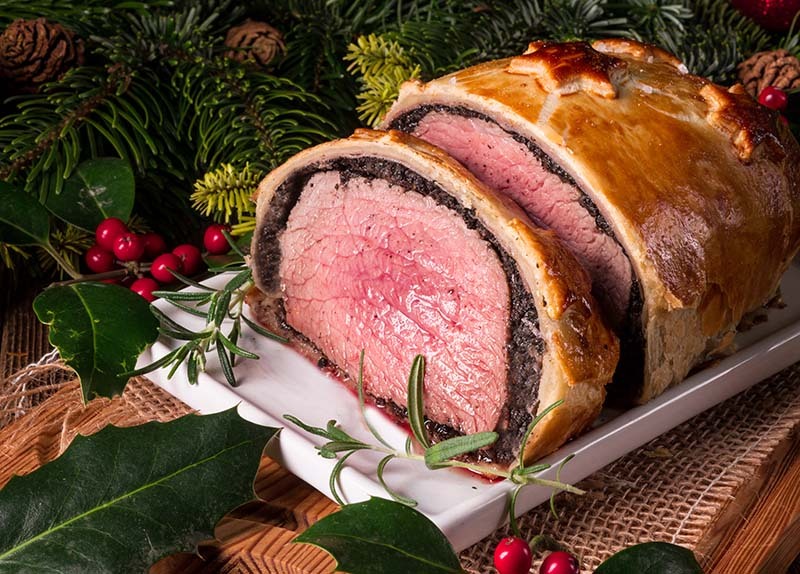 For more Scotch Beef ideas and festive inspiration, visit The Scotch Kitchen website. And make sure you following @scotchkitchen on Facebook, Twitter and Instagram. SPONSORED: It’s time for an Easter adventure!